My fellow Crazies, after a long wait it is finally that time of year- it’s tenting season. I will be bringing you a step by step account of my tenting experience for the next six weeks to give you an inside look at the most sacred tradition at Duke University- tenting. Some people have been waiting for a few weeks for this, others have been waiting for years. Me, I’ve been waiting for my whole life, and now the day is finally here. Moving into my dorm on East Campus was one of the defining days of my life, but for countless freshmen at Duke, the most profound day of their first year is the day they pitch a tent and move into a muddy patch of earth outside of Cameron Indoor Stadium. You’re probably used to seeing it by now, every game from now until Carolina they’ll show a little shot walking through K-Ville on ESPN during a game. 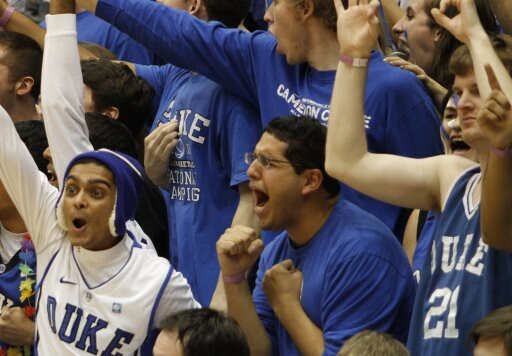 For most people their first reaction when hearing that Duke students camp out for up to seven weeks in the dead of winter (albeit a mild global-warming induced North Carolina winter) for the right to attend one basketball game would probably be why are these crazy people doing this? But for people that understand the nature of the Duke-North Carolina rivalry, your first question is probably along the lines of how does this process really work? As you read this I’ll probably be in K-Ville setting up my group’s tent, and I’ll bring you the trials and tribulations of setup tomorrow, but for now I’m going to walk you through the tenting process so you can understand what we are about to endure. To start off, there are three levels of tenting. Each of these levels start at a different time and are used to determine the order in which groups are let into the Carolina game. 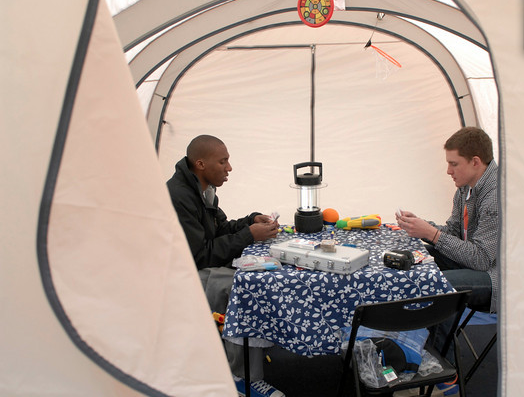 When another set of people start tenting, all tents abide by that period’s tenting rules. You tent in groups of 12. Without further ado, let’s sort this whole mess out. Black Tenting: Black tenting is the most intense period of the tenting season. This year black tenting started seven weeks before the North Carolina game on January 15, and lasted for one week. During this week, tents were required to have one member in the tent at all times during daytime hours and all 12 members of the tent were required to be there during nighttime hours and sleep there. This year there were 12 black tents, that will make up the first 12 groups allowed into the Carolina game this year. Blue Tenting: The blue tenting period begins one week after black tenting has started. This portion of tenting season lasts for four weeks. During this time, tents will be required to have one member in the tent during daytime hours and six members will be in the tent during nighttime hours and sleep there. There will be a maximum of 60 blue tents. All blue tents will be behind each of the black tents in line. White Tenting: White tenting is the shortest period of the tenting season. It lasts for the two weeks leading up to the Carolina game. During this time, tents will be required to have one member in the tent during daytime hours and two members will be in the tent during nighttime hours and sleep there. There wil be a maximum of 30 white tents. All white tents will be behind each of the black and blue tents in line. Sound confusing enough already? But wait, there’s more! The majority of the groups that tent this year will begin tenting at exactly the same time. So how in the world are we supposed to figure out who got there first? Black and blue tents that start tenting at the beginning of their respective tenting period will not initially receive a tent number, but a letter. This signifies that they were initially in a tie with the other tents that began tenting with them at the same time. The way this tie is broken comes down to game attendance. The line monitors will track each member of each tent’s game attendance from the beginning of their tenting period until Duke’s February 16 contest against North Carolina State. Each tent will receive a point for each member that attends a game. These points will then be used as a tiebreaking system. After the points have been tallied, the tents will be assigned their final number. Line monitors conduct tent checks multiple times per day. A tent is allowed to miss just one tent check during a given tenting period. These missed checks will reset when the next period starts. If a tent misses multiple tent checks they will be bumped to the end of the line for their given tenting period. This could possibly mean that a blue tent gets bumped back onto the wait list if they miss multiple tent checks. Now that we’ve gone over most of the rules, let’s talk about my experience. This year I’ll be blue tenting along with 11 of my closest friends from my dorm. We completed our registration for tenting on Saturday afternoon and are now officially blue tent FF. Over the next six weeks, we’ll be living in Kville and balancing our busy academic and social lives with being full-time Duke basketball fans. Our preparations to enter the tenting process were extensive. We began assembling our group over winter break and sought to put together the ultimate tenting group. Our goal was to find the perfect balance of people whose academic and social schedules would not conflict too much, but ultimately the biggest decision point was who you wanted to live with in such close quarters for the next six weeks. Just down the hall from my room, Giles 320 served as our tenting headquarters for this year. Many nights when we hadn’t yet startedwere finished a ridiculous amount of schoolwork a few of us would gather in the room to coordinate our group member’s class schedules in preparation for tenting. This was the hardest part of the process thus far- taking 12 students’ class schedules and trying to assign everyone an even amount of hours in the tent. But after weeks of scheduling changes, coordination, and maybe the occasional bloodshed, we are finally ready to go. Today marks the beginning of one of the most memorable experiences of our lives. I’ll be trying over the next six weeks to bring you an insiders’ perspective on what it’s like to be a first-year tenter. But my goal is not just to tell you my story, I’ll be uploading pictures and videos to show you the different experiences of other Crazies to show you the good, the bad, and the Crazie of tenting. Wish us luck, everybody. 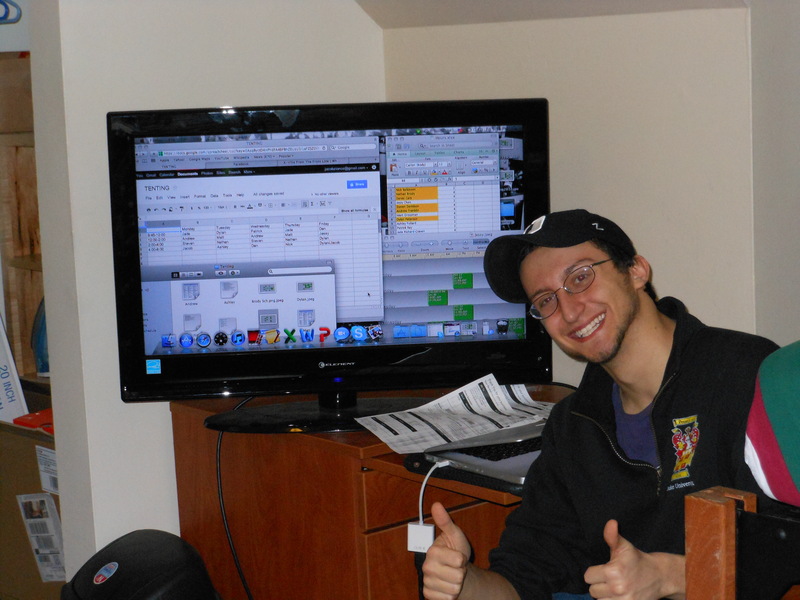 I’ll be posting another story tomorrow morning to walk you through our actual setup in K-Ville. Stay Crazie, my friends. Enjoying the blog! 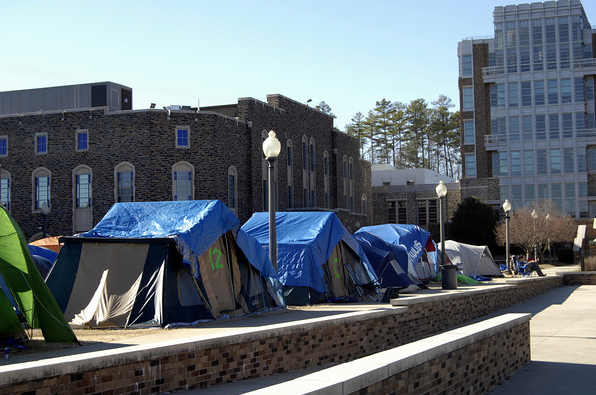 I was at Duke from ’86-90 and the only tents were set up the night before the Holes game. What’s up with NO students going to the women’s games? We need y’all! Please come and cheer on the team at tomorrow’s (Monday 1/30), the Holes on 2/6, and Miami 2/4. ‘Kay? I can’t really understand why very few students show up to women’s games. In my spare time I serve as one of the women’s basketball beat writers for The Chronicle and have spent a considerable amount of time around the team. They are a fantastic basketball team, and hopefully more people around campus start to realize that. Hopefully their upcoming slate of marquee games helps- their game against UConn along with their upcoming game against Carolina next Monday are required games for tenting.